With thanks to Paul McVeigh for asking Vanessa Gebbie who asked me to join in with this writers' stream of information. This is allegedly about my writing process. It is a sort of writers' chain blog, in which a writer answers four questions and reveals what they wish of their process, their work, and passes the baton to a few writers they admire. This summer I have not one but two books published. My first ever full-fat poetry collection 'Fishing In The Aftermath Poetry 1994-2014' is published with Burning Eye in July. 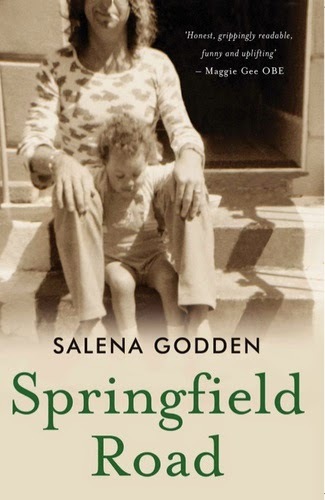 And my long-long-awaited memoir 'Springfield Road' is now successfully crowd funded and will be published in Septembertime with Unbound Books. Most recently I have been working on commissions and broadcasts on the BBC. I was on The Verb hosted by Ian McMillan with special guests Viv Albertine and Hollie McNish last week - hear the podcast here. Next week, June 21st, you'll hear a commission I have written to contribute to a documentary on BBC Radio 4's archive hour 'The History of The N-Word'. I have also just written and published a piece in the summer edition of The Author and The Society of Authors on The Writer as an Outsider which came out this week. But what else am I working on? Well, it is the great British summer festival season, so I'm juggling plates and spinning eggs, touring and gigging. As I write this I am watching the industrious birds in the tree opposite and I feel exactly like those birds. I'm zooming to and fro from my nest, checking to see if my eggs are warm enough, not too hot and not too cold, if they are hatching, if they are crushed by my overbearing need to check them, if the chicks inside are going to be born strong or weak. Cheep-cheep, I tweet away about these eggs and these hours of precious nest-building and egg-laying I do, these eggs I made from my own brains, with my own blood, sweat and tears. When I do switch off the internet I have found happiness banging on an old typewriter. These poems and short-short stories come through without spell check, without being able to save them or edit half way through. They are bright as fireworks, they live for the moment, they flash and explode with a rat-a-tat of gunfire and keys and then, ping, they are done and gone. This has been making me happy. Whether this is real work or not I do not know, it feels like playing. Book-wise, this winter I have a new novel to finish. I've decided to take a year off from teaching and being a writer-in-residence for First Story. I'm quite looking forward to the bleak grey soup of winter and quiet time this work will require. This is a tricky question. I have never written to any specific genre or to any rules. The only time I have been mindful of language and audience and length is when I write for the BBC - but that is poetry and perhaps different. Springfield Road is a literary memoir but it reads like a novel and is a page-turner. It is written in sections of the four seasons rather than a strict chronological timeline. In some places it slips into poetry and other chapters more gritty prose and narrative. I generally dislike genres, or any labels and boxes, I believe they are barriers, that they limit books, readers and authors. Lately I've been daydreaming that it would be interesting to have a pile of ten books with plain brown paper covers and to hand them out to ten readers without any clue of the 'genre' or 'race' or 'class' or 'age' or even 'gender' of the author, I think that would be an interesting reading exercise. Perhaps someone else already did this? I should google it - Please write and let me know if you know someone that did this. That's not at all easy to answer. I know that some of my poetry is written in hindsight and is something I wish I had said in a difficult situation. My prose is different though, some stories are based on experience and memories and I try to hide and disguise myself in there. Other stories are based on my obsessions, my nightmares or desires. I do much of my writing in my sleep - vivid dreams are often a source of new ideas, first lines and titles. Sometimes it is with a sickness and necessity I write what I do, because these stories and poems want to be written, they repeat in my head until the traffic jam is so noisy I get no peace but to expel them onto the page. I am not selective what I write first draft but I am selective what gets my time and energy put into it, what is finished, seen and published. It's easy to have shiny new ideas but another discipline altogether to go back in there, to complete things. And it is another level to have the guts to let other people read or hear them. My writing process has changed and somewhat mellowed over the last twenty years. With much of the 1990's poetry in 'Fishing In The Aftermath' I lived recklessly and wrote about wild and wicked adventures on the road, with authenticity and real life gristle. With Springfield Road it was the opposite, I lived like a monk and hid away for weeks of solitude at a time. I would go to bed at 9pm to rise at 4am and write until 4pm, 12 hours a day, hard labour. It was obsessive, I approached it as though it were a mountain I had to climb, starving and driven, relentlessly pick-axing to the summit. Then I'd leave the writing mines for 3 or 4 days hard drinking only to return to my self-made prison and this lonely monk-like existence, for more arduous and silent 12-hour shifts. I have learned now that this is unhealthy and that to wholly cut myself off was and is painful. I need to hear a voice, just my own name said with familiarity, at least once in a day, or I start to go a bit mad. But we all learn as we go along and I never lost the habit of rising at 4am. I have become an early morning writer forever now. When I am passionate about a piece of writing I will dream about it, I will leap out of bed at 4am with a new idea to work into it. By lunchtime, in theory, I have uncluttered the traffic jam, and can go back to all my myriad of other chores, this is the curse of all self-employed writers, there is so much more to do than just writing, there's chasing invoices, preparing for gigs and readings, hustling bookings, managing tours, pitching radio shows, rehearsing, recording, finding rent, going to the cobblers to fix up your old favourite high-heels, worrying about the bills...the whole hustle that is day-to-day life. I'm a slave to the tyranny of the list, if I keep to my list I can just about scrape by - which is exactly like being the busy bird I can see from my window as I write this, keep on keeping on, relentlessly going to and fro, tweeting, cheeping noisily away, with a nest full of shiny new eggs. Thank you for reading my answers. I now pass the baton on to two of my very favourite female authors Maggie Gee and Heidi James-Dunbar. I confess I like to read books in one greedy gulp. I think one of my greatest luxuries is to allow myself to read a book in one sitting. The last book I read in one session was 'Wounding' its a disturbing and unsettling book that haunts you and stays with you - I highly recommend it. I have been a huge fan of Maggie Gee's for many years and have just got myself a hard back copy of 'Virginia Woolf In Manhattan' and I plan to hide away this weekend to read that in one afternoon too. Please go to their websites or blogs next! 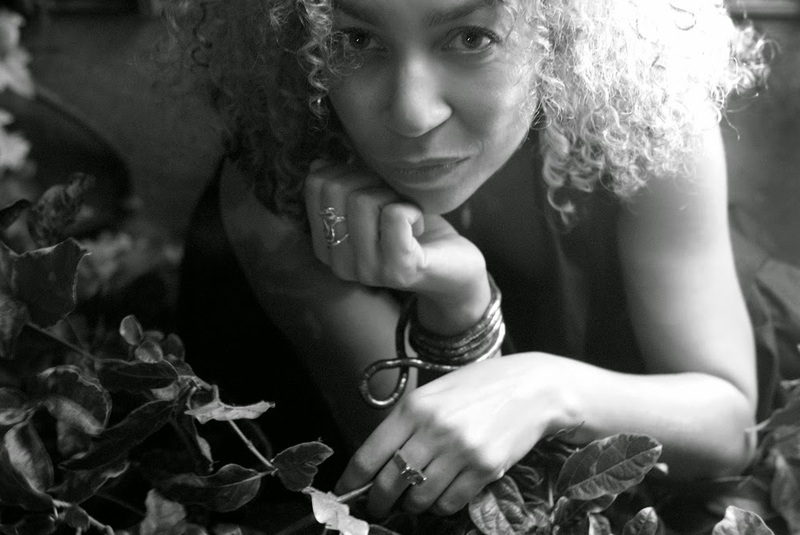 Maggie Gee has written twelve novels, including The White Family, shortlisted for the Orange Prize and the International Impac Prize, The Ice People (revised edition 2008), and two linked satires about Britain and Uganda, My Cleaner and My Driver (2009), which were called 'worldly, witty, enjoyable, impressive' by Doris Lessing. She has also written an acclaimed writer’s memoir, My Animal Life, 2010, (‘exceptionally interesting and brave…a wonderful book", Claire Tomalin) and a collection of short stories, The Blue. Her books have been translated into 13 languages including Chinese, and she is Professor of Creative Writing at Bath Spa University. In 2012 there was an international conference about her work at St Andrew’s University. 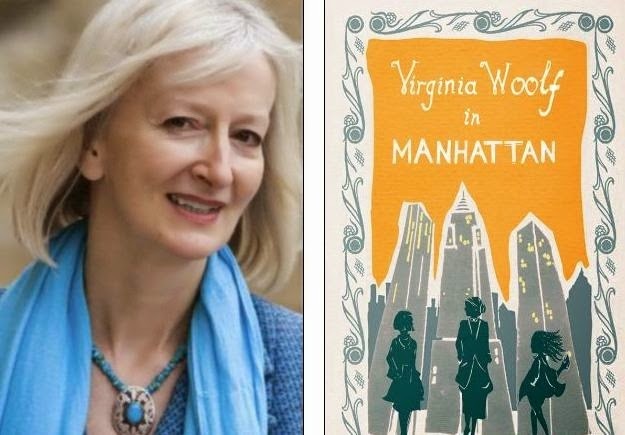 Maggie Gee’s new novel, Virginia Woolf in Manhattan, is a comedy that brings Virginia Woolf back to life in the 21st century in Manhattan and Istanbul.